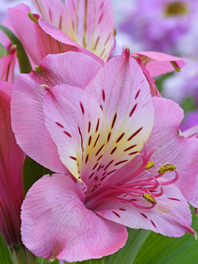 Alstroemerias, also known as Peruvian Lilies, are beautiful and romantic blooms that display 3 to 5 blossoms per stem. Their petals are heart-shaped and usually display multiple freckles in different hues. Alstroemerias are a favorite wedding flower, often used as a filler in centerpieces and bouquets, adding a gorgeous pop of color and an attractive volume to any floral arrangement. Peruvian lilies are available in multiple colors, from white to yellow, to different hues of orange, lavender, purple, pink, and red. Their long vase life and toughness makes them perfect cut-flowers, to be used in vases to decorate your home, or as a beautiful gift in a bouquet. Alstroemerias symbolize friendship and devotion, which makes them a great present for a close friend or a relative. Each individual flower can last for one week, and each stem will display blooms for up to 2 weeks. Please note that Peruvian Lilies may cause an allergic dermatitis in some individuals, so make sure to check your friend's allergies or your loved one's before ordering them! 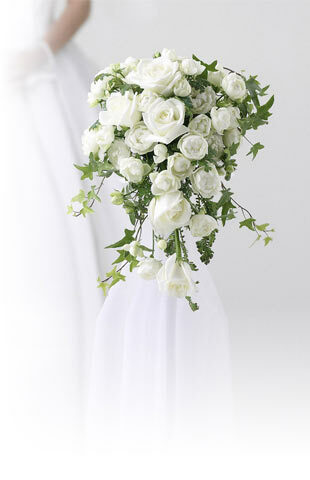 At Flower Explosion we pride ourselves in offering only the best quality blooms and always at affordable prices. Our flowers are shipped directly from our eco-friendly farms in South America to you, and shipping is always FREE. Order your Alstroemerias today and see it for yourself!